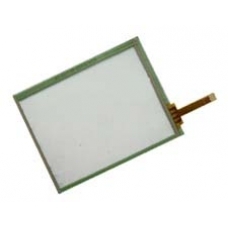 If you have cracked or smashed the touch screen, but the LCD display is intact the touch screen component can be replaced with a brand new Compaq / HP part. A broken touch screen (glass top) is classed by Compaq / HP as a non-warranty repair and will charge you accordingly. This service is far cheaper option and performed to exacting standards. Touch screen for the 3900 series iPAQ, if you only have a cracked screen with a working LCD, just replace this component..